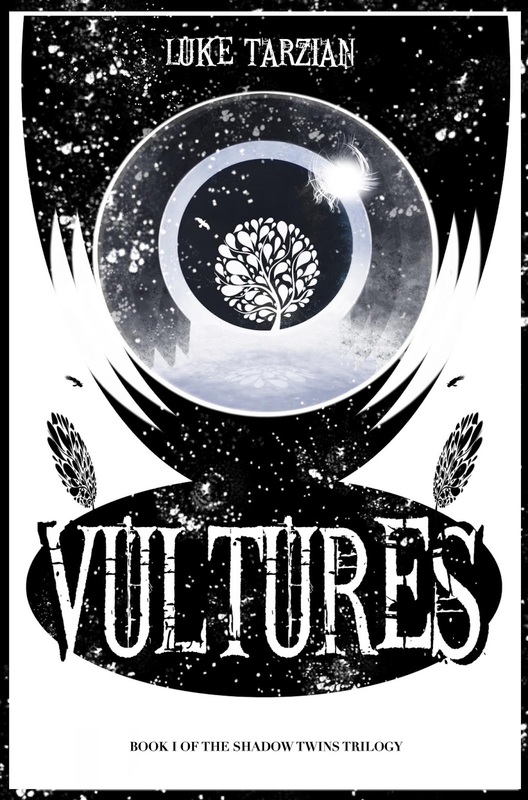 Out of This World SFF Reviews is pleased and delighted to be hosting the official Cover Reveal for Luke Tarzian's upcoming new book VULTURES! 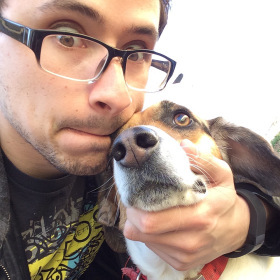 Luke is a self-published author who resides in Pasadena, California where he has been diligently hard at work writing and getting book one of the Shadow Twins trilogy, VULTURES ready for the masses. Luke is also an incredibly talented graphic designer and actually designed and created the beautiful cover for his new book (which you will get to see very soon). The official release date for VULTURES is June 11th and is available for preorder now on Amazon by clicking (here). Make sure you get in early and have it delivered to your preferred device on release day so that you can start reading immediately! 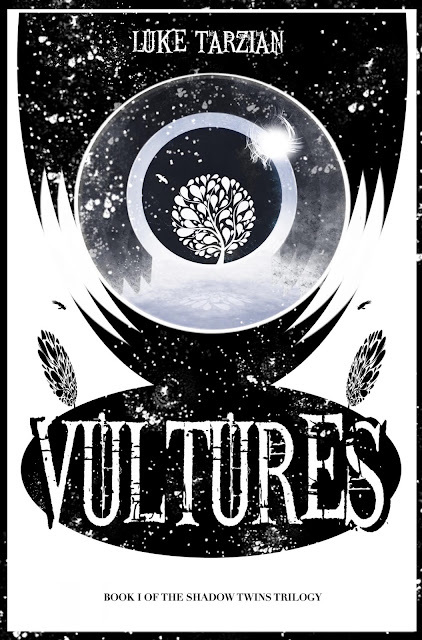 And now for the moment you've all been waiting for and what my wife proclaimed to be one of the coolest book covers she's ever seen.....Here is the fantastically dark and gorgeous cover for Luke Tarzian's upcoming book VULTURES!!!! Still, Theailys has a job to do: destroy the Heart of Mirkur and end the war for good. Though Te Mirkyahil is dead, its progeny leak endlessly from the Heart, sowing death with their passage. With The Keepers' Wrath. a power focus of his own design, Theailys believes there is hope to restore peace to Ariath once again. 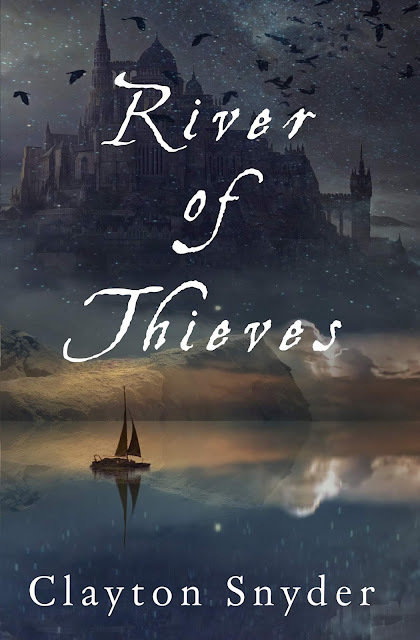 Out of This World SFF Reviews is honored and privileged to be hosting the official Cover Reveal for Clayton Snyder's upcoming new release RIVER OF THIEVES. 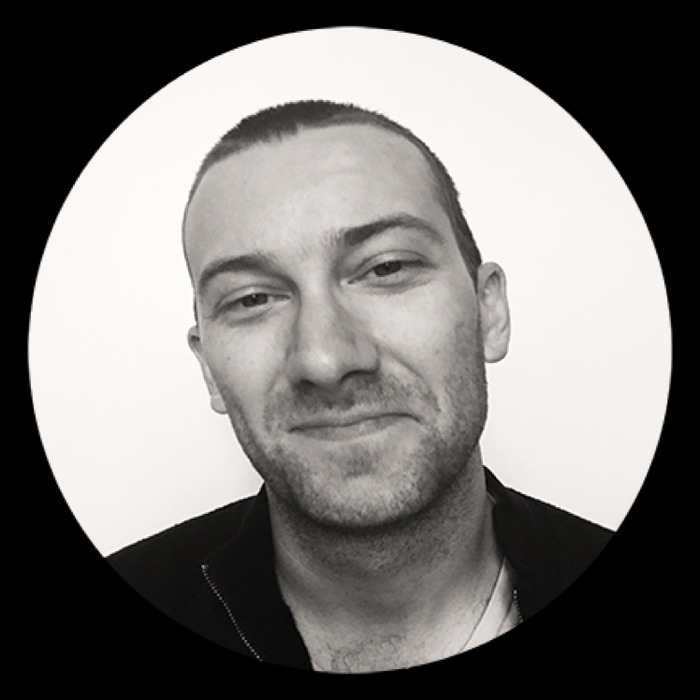 Clayton is an amazingly talented author who resides in North Dakota where he writes edgy fantasy tinged with a bit of horror and mayhem. His The Balance series has been very well-received by both reviewers and fellow authors alike, and was described by Fantasy author Dyrk Ashton as "Extremely well-written, thoughtful, and engaging." The official Cover Reveal for Clayton Snyder's RIVER OF THIEVES!!!! Cursed thief Cord relies on his partner Nenn to recover his body, stash the money, and convince the authorities that there are no leads left to follow. They spend their days hitting low-tier lenders and banks, but after a botched robbery, Cord begins to think they need something bigger, something that will set them up for life. When that thing happens to be a heist no one else in the kingdom has the stones to pull off, he gathers a group of rogues with a particular set of talents: Nenn, handy with a knife and a cool head; Rek, cat fancier and strongman; and Lux, undead wizard. Together, they converge on the city of Midian to steal the heart of a saint and punish a tyrant. What comes out of the carnage is so much more - a conflict between gods that could decide the fate of every thief in the worlds. 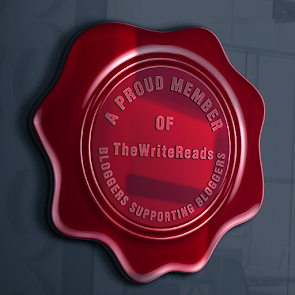 I'm extremely pleased to be a part of #UltimateBlogTours hosted by Dave and the gang over at the amazing website The Write Reads! Today is Day #9 of the tour and the book that I will be reviewing is AFTER THE GREEN WITHERED by author Kristin Ward. It's important to mention that the book won a Best Indie Book Award in 2018. Further biographical info about Kristin will be included at the end of my review as well as a link to purchase the book on Amazon. And now without further delay, my review of AFTER THE GREEN WITHERED. AFTER THE GREEN WITHERED takes place in a dystopian United States where the land has become a barren wasteland and water is the new global currency. It is wielded as a weapon by corrupt government leaders and it is very apparent that if you aren't part of the elite ruling class, you are going to have an extremely difficult time just making it from day to day. All of what has occurred has been due to the effects of climate change that has long been ignored by past political regimes. Enter main character 17 year-old Enora Byrnes, who takes a job with a government controlled entity that itself is one of the biggest offenders of the new strangulating water-rationing laws. The philosophy is quite simple, conform and fall in line with what we want or be crushed under our boot and die of thirst/starvation. At first Enora goes along with what she has been charged to do because she like everyone else is just looking for a lifeline of survival in this new and destitute reality. However, as the horrors of the agency that she works for begin to slowly get revealed and Enora digs deeper and deeper, she becomes disgusted with what she discovers. At the same time, she is still very much a teenager and is struggling with her desire to do what is right while still doubting whether one person alone can make a difference. Can Enora gather up enough courage to expose what she has uncovered and maybe bring about a positive change? Or will her employer get to her before any of that can happen? Just a couple of the questions raised in this entertaining YA dystopian story. 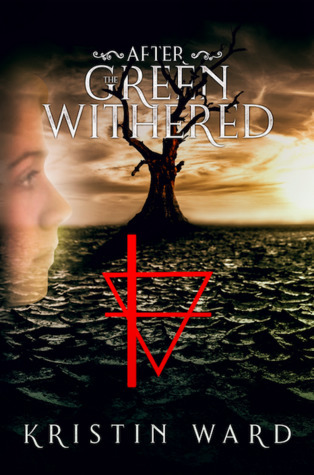 AFTER THE GREEN WITHERED is definitely a book with a relevant political and social message. Author Kristin Ward does not pull any punches in this regard and the reader absolutely gets a taste of what the world could possibly be like if we continue down our current path with regard to how we are addressing environmental issues. I'm a fan of dystopian SF like this one, and I thought that by and large the author did a solid job of creating an atmosphere that delved into the hopelessness that living under these conditions would obviously engender. I also thought that the character of Enora Byrnes was very well done, and even though she is seventeen, she still possessed a strength and resolve that most teenagers simply do not possess. My only minor stumbling points were that I wanted to know a bit more about the conditions that caused the current situation and water crisis. I know that climate change was alluded to as the culprit, but more back story would have really gotten me more invested in the plight of the characters. Also I thought there were a few slow points where some info-dumping occurred, but those were few and far between, so I was able to get past it for the most part. I definitely recommend this book to fans of post-apocalyptic and dystopian SF, because it is an entertaining read. It is also a great read for younger readers who enjoyed Veronica Roth's Divergent series and the Gone series by Michael Grant. All in all I liked this book quite a bit and am looking forward to revisiting this world again very soon. 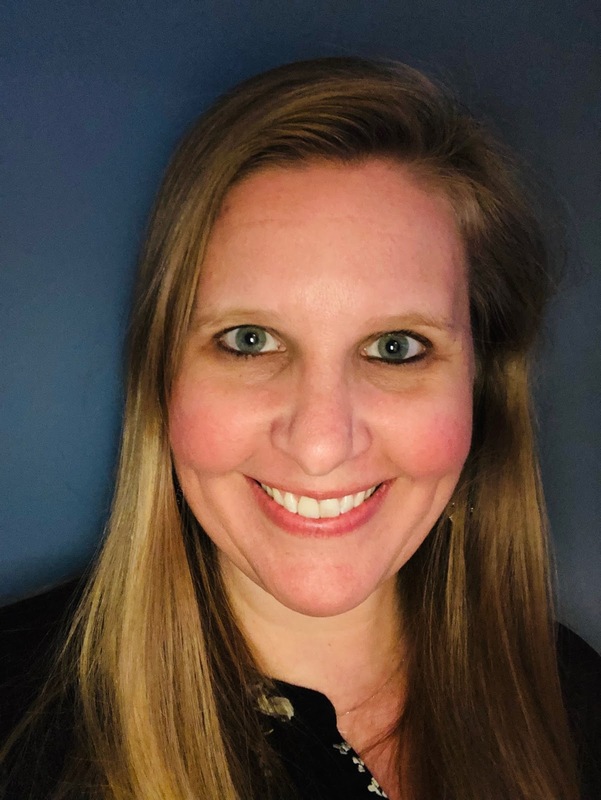 Kristin Ward has loved writing since middle school but took thirty years to do something serious about it. The result is her Best Indie Book Award-winning novel, After the Green Withered, followed by the sequel, Burden of Truth. She lives in a small town in Connecticut with her husband, three sons, and many furry and feathered friends. A SciFi geek to the core, she is fueled by dark chocolate and coffee and can be heard quoting 80's movies on a regular basis. I feel like I've been giving a lot of five-star ratings so far this year and I always kind of balk at that because I don't want to be seen as a reviewer who just arbitrarily gives out perfect scores for everything he reads. At the same time I legitimately believe that the books I've read have all been five-star books and I don't want to short-change them simply due to my own self-consciousness. 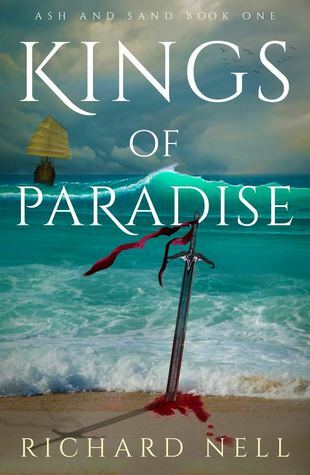 KINGS OF PARADISE by Richard Nell is a book that is absolutely beloved by all of my favorite bloggers, so it is a book that I have understandably been dying to read. It was also entered into Mark Lawrence's SPFBO4 and made some significant waves before eventually being eliminated (for what reasons I'm not entirely sure after having read it). So when it finally came up next on my TBR, I happily jumped into this highly-touted first book in the Ash and Sand series. KINGS OF PARADISE is equally divided between two separate lands with two separate storyline POVs. Ruka was born with a deformity which resulted in him being seen as a demon by the local priestesses of the frigid wasteland of Ascom. A barbarian living along the outskirts of the city, the only reason why he hasn't been killed already by the superstitious and very influential matriarchy is because his mother Beyla is a child of the gods who still carries with her an impressive reputation of her own. So much so that the priestesses are hesitant to act against her and her tainted son. However, when Beyla succumbs to a mysterious illness that Ruka suspects may have been brought about by one of the priestesses, all bets are off and Ruka is now unprotected and left to fend for himself as he is hunted across the frozen tundra. Ruka soon embarks on a journey far away from his homeland to try to evolve into the man he is supposed to become and maybe in the process uncover some small part of his past as well. This shy unassuming boy must learn to be a hardened man and warrior if he hopes to wreak vengeance on those who have taken everything from him. The only question is can he learn fast enough before he is captured by his pursuers. Kale on the other hand, could not be more different from the aforementioned Ruka. Around the same age as Ruka, Kale is born into a royal family of privilege. The problem is that he is a huge disappointment to his father the King of the sandy paradise island empire of Pyu. The reason for this disappointment resides in the fact that Kale is a bit of a slacker who doesn't really fancy his role as the fourth prince in the inheritance line. He and his father are like oil and water and they never seem to agree on anything. This lands him a place in the lowest regiment in the Pyu Navy, an open slap in the face to his youngest son and a public shaming above all else. Kale has had everything in his life come easy to him until now and his current situation leaves him both defiant and also bewildered. If he fails to prove himself in this rugged marine corps, he may eventually be cast aside and disowned by his father. This is a real problem since Kale is in love with a young woman who he can never even hope to marry if he remains a lowly military grunt. It's at this point that Kale needs to make a decision about what is really important to him and who he is as a maturing man of means. Will he accept the challenge or wallow in his misery to the point where he just gives up? What a glorious experience this book was to read. At first it took me some time to get acclimated to the settings and both characters' individual conflicts. But as the story unfolded I found myself reading in larger and larger chunks. I actually read the last 250 pages in one sitting, which is unheard of for me because of the distractions that having two small children and a busy schedule bring. That is a true testament to how great this story is though and I did not want to put it down for fear of having to wait to find out how it all wrapped up. The first thing I will say is that the world-building is flat out second-to-none. The two settings of Ascom and the Pyu Islands couldn't be more different in climate and economy. Yet each was brilliantly rendered to the point that you could feel the sand between your toes and the frostbite stinging your fingers. Just as the settings were disparate, so were the main characters. Each born from different backgrounds and upbringings, but each with their own trials and tribulations to attempt to overcome. Ruka is one of my favorite characters of any fantasy book as his unwavering determination propels him forward at all times even when everything seems to be standing in his way. His emotional allegiance to his mother is also unflinching and gives him a courage that makes him almost superhuman at times. Kale is one of those characters in the mold of a Jaime Lannister. You want to punch him in the mouth most of the time he is speaking, but there's also this subtle and underlying charm that makes you almost root for him against your better judgment. That's a really difficult trick to pull off and Richard Nell should be praised for the depth that he brings to both Kale and Ruka. I thoroughly enjoyed every minute of this book even when it got very dark, brutal, and violent. And believe me, it does go there and Nell doesn't sugarcoat anything in this regard. But the writing is just so absolutely beautiful that you can't help but continue to follow along on each characters' separate journeys of discovery and coming of age. If you want to read one of the very best fantasy books of the new millennium, then pick up KINGS OF PARADISE immediately and enjoy the amazing ride you will undertake. It will be well worth your time and effort, I promise. Book two, Kings of Ash was just released a couple of months ago and I definitely plan on reading that one as well. I can't wait to see where this story goes from the terrific finish of this first book. Richard Nell has most certainly brought us a phenomenal new series to savor, we should all rejoice and embrace it. Very highly recommended by yours truly. 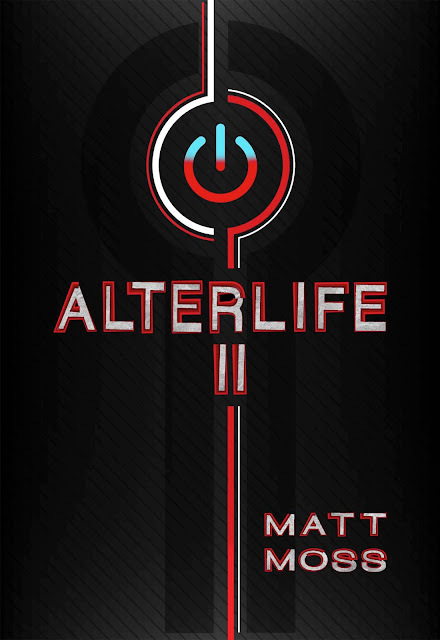 Out of This World SFF Reviews is extremely honored to present the official cover for ALTERLIFE II, the brand new book in the Alterlife series by self-published author Matt Moss! ALTERLIFE II is scheduled for release on June 4, 2019. 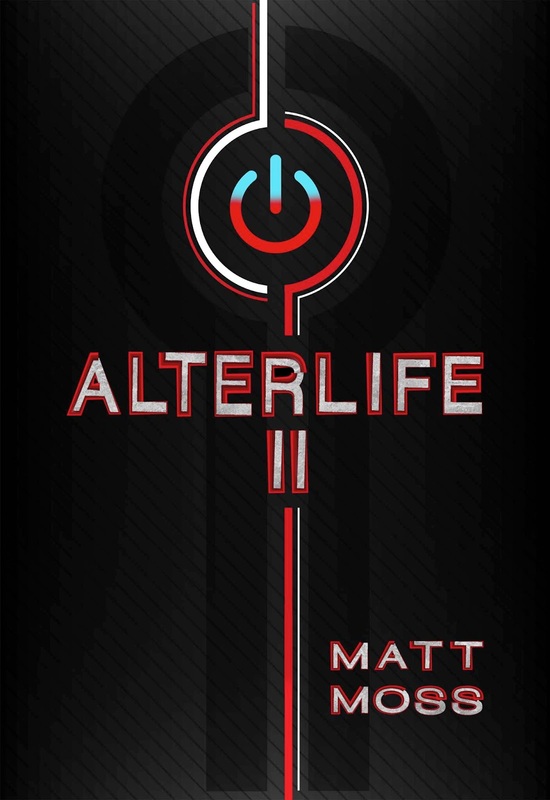 Matt's first book in this action-packed and intelligent SF series Alterlife (due to be released this coming Tuesday, April 9th) was one of my favorite reads of 2018 and has been accurately described as "A cross between Ready Player One and Breaking Bad". For those who would like to know more about book one, please click on my review of it here. If it sounds like your kind of read, you can preorder Alterlife now on Amazon by clicking on this link. But now let's get to what you've all come here to see! Time has passed and with it, the deaths seemed to have stopped - the virus is no more. Prosperity has returned to Alterlife and to john's life. But the Gamemasters haven't forgotten about Ace the Great and what he has done. They lie in wait patient and calculating. They seek to avenge their brother, and are willing to use every tool in their arsenal to deliver justice - even unleashing the gods themselves upon Alterlife. John Crussel thinks everything is back to normal. But there is a war coming to his doorstep. I've had the good fortune of reading some incredible books so far this year, one of them being Rosewater by Tade Thompson. The book was a fantastic Science-Fiction story that takes place in the very unique setting of Nigeria some forty years in the future. I was so immersed in the book that I blew through it in about two weeks. Considering my busy schedule, that is truly saying something. So when I was also given the opportunity of reading and reviewing the sequel THE ROSEWATER INSURRECTION, I simply had to jump right back into this story as soon as possible. I would like to thank the good people at Orbit again for being so gracious in providing me a review copy. Now without further delay, on to a brief description and my subsequent thoughts. The story picks up not too long after the events of the first book. This time however, instead of Kaaro being the main POV character, it is his girlfriend and government agent Aminat. The makeshift town of Rosewater continues to grow in population as pilgrims from every corner of the world come to be healed of their ailments. The problem is the biodome at Rosewater's center seems to be dying ever so slowly, leaving their hopes of a reversal of their maladies very much in doubt. Added to the disorder of the growing masses and the decaying biodome is the specter of Rosewater's charismatic mayor Jack Jacques and his movement to declare independence for Rosewater. This understandably doesn't sit very well with the President of Nigeria, and a violent conflict is almost certain to arise between the two political forces. Meanwhile, a local woman named Alyssa awakens to find that she has no recollection of her husband and daughter. As a matter of fact she can't really remember much of anything at all. Why she can't remember her past is a mystery that she spends the majority of the story attempting to discover, eventually finding herself on the radar of the government's secret agency S45 and Aminat in particular. Could she somehow be connected with the strange alien Wormwood and the extra-terrestrial forces that reside within Rosewater's biodome? As that scenario plays out we are introduced to Eric, an unwilling minor employee of S45 who is basically ordered to assassinate the mayor of Rosewater Jack Jacques to put an end to his ambitious plans to break free from Nigerian government control. Eric really has no choice as his only other option is death at the hands of his employers. All of these various storylines alternate between chapters. 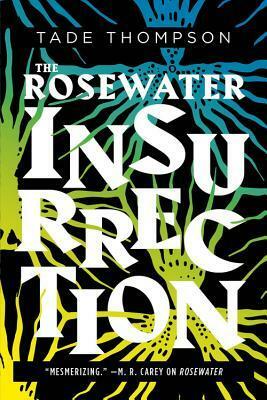 Unlike Rosewater where the story was told almost exclusively through the eyes of Kaaro, THE ROSEWATER INSURRECTION tells the tale through numerous POV switching. As the story progresses, we definitely get a bigger background behind the alien entity at the heart of Rosewater and Wormwood has more of a center-stage role than in the previous book. The mystery of Wormwood's origin is hinted at, definitely tantalizing us for a potential huge reveal in the final book. As for Aminat and Kaaro, they are still very much in love, very much a powerful couple, and very much determined to get answers to what the aliens' plans are for Nigeria and the entirety of Earth. I've been living in Tade Thompson's Rosewater for the better part of a month and I have to say that I'm a little depressed that I don't have book three to pick up immediately. Oh well, I guess I'll just have to wait for that one a little while longer, but meanwhile, let me opine on the many virtues of THE ROSEWATER INSURRECTION. This book was almost night and day in style compared to the first one. I think I was a bit thrown off at first by the multiple POVs just because I was so used to Kaaro being the main character. After I became acclimated with it though, I just settled in and let the story take hold of me. There was so much going on in this story and it really served to clear up some nagging questions from the first book that were lingering in my mind. Jack Jacques and his independence movement is much more of a player in this one, as intimated by the INSURRECTION part of the title. I enjoyed reading the flashbacks in the story that showed how he essentially charmed his way from a small-time figure to a major political leader by connecting with the people of Rosewater on a very personal level. With regard to the characters, Aminat is one of the strongest female characters in any SF story that I have read. I was happy to see her get the majority of the spotlight in THE ROSEWATER INSURRECTION because I think that she is a very compelling and interesting character. It was gratifying to get to see some more of what she is all about. My only minor beef with this book was that the switching of POVs was a little distracting in the beginning and it took me a while to adjust from the first book. I think part of that had to do with the fact that I began this book the day after I finished the first one and I was used to that story structure. But other than that I believe that this was more than a solid follow up to Rosewater and it set up the last book in the series quite nicely. I really recommend this series to anyone who is looking for a unique, thought-provoking SF read that has deep, complex characters and an alien mystery that makes you keep turning the pages feverishly. A great second installment in the Wormwood Trilogy that makes me eager to get my hands on the final book. Read it now, you won't regret it. For those who aren't frequent visitors to my blog, my reading tastes are split pretty much evenly between Fantasy and Science-Fiction. I enjoy both genres equally and try to keep a nice 50/50 balance on my TBR whenever possible. Lately I have been on a steady diet of Fantasy and because of this I began searching for a really good SF book that I could sink my teeth into. Enter Tade Thompson's ROSEWATER, the highly-acclaimed first book in his Wormwood series. I was fortunate enough to obtain review copies of both ROSEWATER and its sequel Rosewater Insurrection through Tade Thompson and also the very nice people at Orbit. I was definitely excited at the prospect of jumping into this series having heard so much about it, the vast majority of which was extremely positive. With much enthusiasm did I dive into ROSEWATER and here is what I found. It is the year 2066, and in the African country of Nigeria there stands a makeshift town called Rosewater. The town didn't exist before an alien biodome just appeared out of nowhere near the city of Lagos over a decade earlier. The doughnut-shaped town was built by the pilgrims and locals who visit the biodome each year with the hopes of being healed when the dome opens for a brief period of time. Over the years, Rosewater has only grown and is not exactly what you would call a sanitary town, as human waste and the smell of the sick and infirm pervade daily life among the residents. A small price to pay though for the chance of ridding yourself of cancer, heart disease, or various other life-threatening maladies. Nobody knows why the biodome appeared and what its ultimate purpose is, but there are people who have been affected by it in extraordinary ways. One of these people is Kaaro, former petty thief turned government operative by the secret agency named Section 45. Kaaro has been gifted with telekinetic and telepathic powers that allow him to intrude on and read the thoughts of others. He and others like him (given the moniker "sensitives") have been contracted out by Section 45 to extract information from prisoners by process of lengthy interrogations. Kaaro doesn't necessarily relish his role, but it keeps him fairly well paid and also out of jail for the crimes he committed as a youth. Kaaro's daily life is filled with the monotonous interrogations he must perform, a side-job utilizing his powers to keep mental hackers from stealing personal information from the local bank, and dodging awful creatures called reanimates. What are reanimates you ask? It seems that the alien presence that emerges from the biodome every year to heal the sick doesn't particularly discriminate and sometimes even raises the dead from the surrounding graveyards. The monstrosities that emerge as a result of this are brain-dead killing machines that run amok within the Nigerian populace wreaking havoc. Oh and then there is the shadowy revolutionary known as Bicycle Girl who Kaaro has only seen in public fleetingly, but that his employer wants to question in connection with the alien biodome and what may be living inside it. For there are rumors that Wormwood, an extra-terrestrial being, crash-landed and formed the biodome for its own mysterious purposes and that the Bicycle Girl may hold the answers that could unlock those secrets. When Kaaro is sent by S45 to find Bicycle Girl, he eventually gets thrust into the center of a secret history that puts him face to face with the sobering reality of who is friend and who is the real enemy at the heart of ROSEWATER. Upon immediately finishing ROSEWATER I simply couldn't think, speak, or have a coherent thought for the longest time. I was seriously flabbergasted at what I had just experienced. There are not many books that I feel mentally exhausted after reading, but this book is an experience like no other. It is also a book that makes you work a little for your reward. The story is not happy-go-lucky and there are no info dumps being spoon fed to you at every turn. Part of the wonderful appeal of this book is how much you have to really pay attention to every detail as eventually those details will all be essential to understanding the overall resolution. The story is also told through alternating timelines, which normally I do not enjoy, but in this case served beautifully to tell Kaaro's entire story from his youth to his current role with S45. Those alternating timelines shed valuable clues as to not only his history leading up to now, but also the history of the mysterious town of ROSEWATER and the alien Wormwood living within. I don't know how to put into words and still do justice to this incredible SF story. There are so many things that I liked about it and the unique setting of Nigeria was also quite refreshing as a reader who is used to the usual tropey settings and worlds. The superstitious nature of the Nigerian populace and how they saw the alien biodome as almost a God-made structure was such an interesting element and one that made you understand why they wouldn't question this otherworldly thing that other countries would have immediately seen as a threat and destroyed. 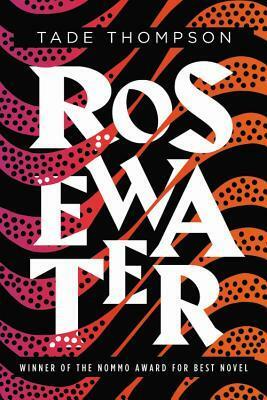 But the thing that I found most-impressive about ROSEWATER was how even though this is a tremendous SF book with plenty of futuristic technology and imaginative aspects to it, at the core of the novel it is a story very rooted in its humanity and realism. Kaaro has the same everyday challenges and insecurities that many of us have. He likes going to clubs, he likes an occasional drink every now and then, he even gets set up on a blind date. All of these things are very relatable and are a significant part of the story that helps to distinguish ROSEWATER above just your everyday SF story. I found myself fascinated by both the alien mystery and also Kaaro's life story that led him to be one of S45's most effective sensitives. So this book worked for me on many different levels. Be warned though, you will be tested by much of the narrative as the things that these characters are put through are not pleasant, and yes there is a good bit of salty language as well. But if you want to read a SF book that is smart, challenging, imaginative, and just plain compelling to read, then ROSEWATER needs to be at the top of your list. You'll have a difficult time finding a more original SF book with this much depth and wonder. I commented in one of my Goodreads progress updates that there are books, and then there are works of art. ROSEWATER is a work of art. Luckily for me, I now get to read book 2 with this story still fresh in my mind. 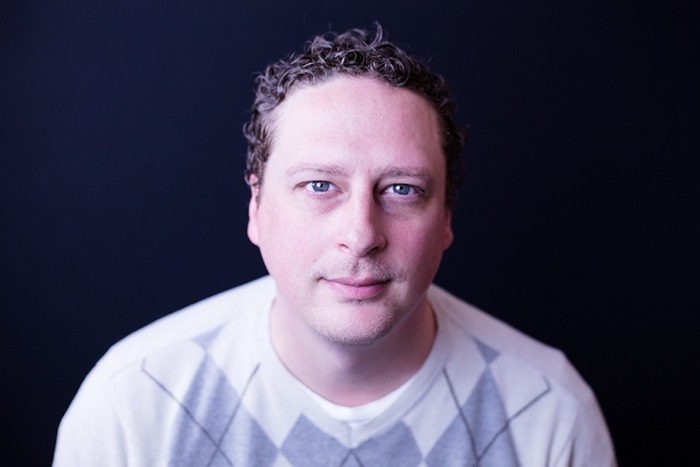 Share book reviews and ratings with Nick T., and even join a book club on Goodreads. My love affair with Fantasy and Science-Fiction books began when I was just 13 years old. It was then that I checked a book out of the local public library called The Robots of Dawn by Isaac Asimov. At the time I had no idea that it was the last book in a series, all I knew was that it completely changed my life and ignited a passion for reading that I couldn't ever fully satiate. Thirty-odd years later I still have that passion, in fact, it has gotten even stronger. I've been a book review contributor for various SFF book review sites over the past two decades but I started my own blog because I wanted to be able to better dictate my own schedule and the types of books that I would be reviewing. This humble blog is my small contribution to the amazing genres and authors that are a huge part of my life. Most of my posted reviews are of relatively new titles or titles that have yet to be released. I hope that you enjoy reading my reviews as much as I enjoy writing them. I currently make my home along the southern coast of New Jersey with my wonderfully amazing wife and our daughters. Welcome and thanks so much for stopping by!